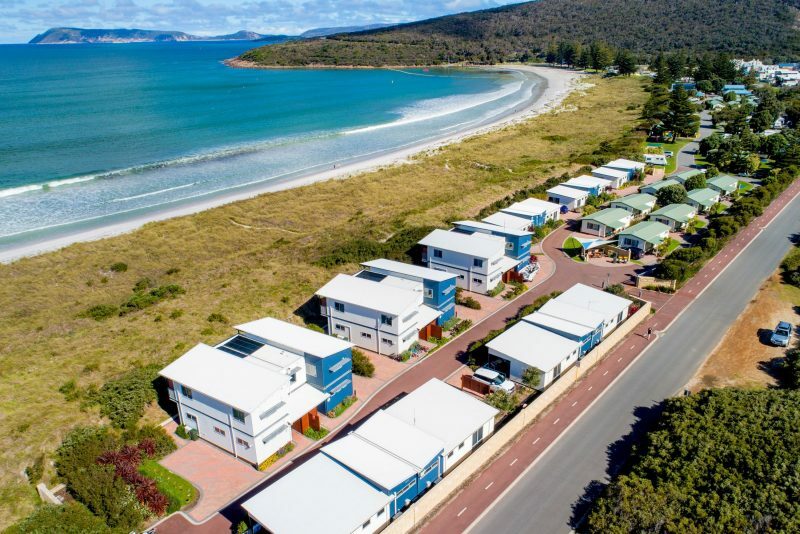 Sheltered by the calm waters of King George Sound, the stunning BIG4 Middleton Beach Holiday Park is located on 500 metres of world-class, pristine beach frontage just four and a half hours south of Perth in Western Australia’s iconic South-West region. Offering everything from swimming to kite surfing and whale watching, there is an experience to be had by everyone all year round! 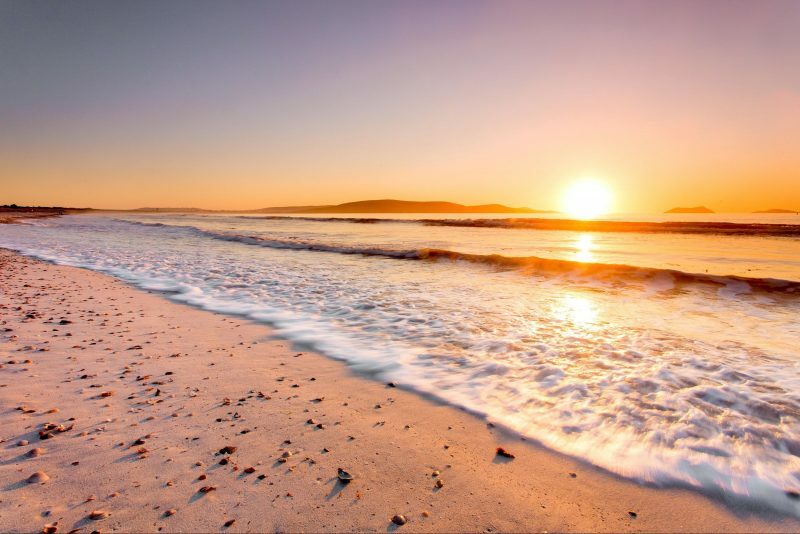 Located only 3.2 kilometres from the Albany City Centre, the spectacular coastlines and scenic walkways of Middleton Beach are just the beginning of what this historic township can offer you. 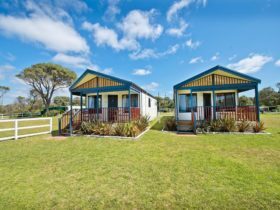 Indulge in the luxury that is the Middleton Beach Holiday Park accommodation, just several minutes from the shore, the Beach Houses, Spa Villas, Chalets, Cabins and caravan and camping sites have something for the entire family. 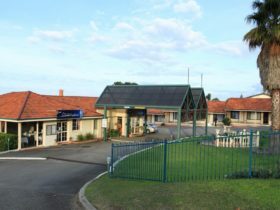 While retreating to the tranquillity of the Middleton Beach accommodation, make use of the exceptional park facilities, including the solar-heated swimming pool, indoor hydro-spa, purpose-built surround sound miniature theatre, recreation room as well as the recreational and barbecue areas, camp kitchen and the free WiFi. 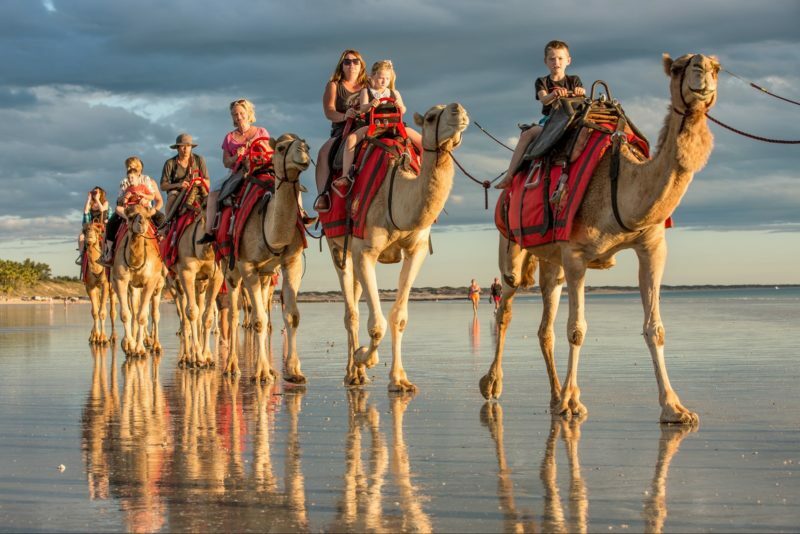 BIG4 Middleton Beach Holiday Park has everything for all ages and is located on one of Western Australia’s quintessentially picturesque beaches, so come and visit today! Your Two Bedroom Chalet features a queen bed in the main bedroom and either a double bed with a single overhead or bunk bed with separate single in the second bedroom. 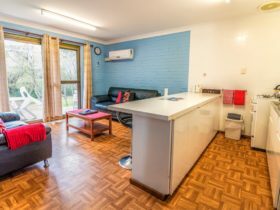 Enjoy your fully self-contained kitchen with oven and dining/lounge area with television/DVD player. Ceiling fans in living area and master bedroom, gas heating in living area. Enjoy your outdoor patio area and outdoor setting for relaxing and passing away the day. Sleeps five people. Your cosy two bedroom En suite Cabin features a queen bed in the main bedroom, bunk bed in a very small second bedroom, self-contained kitchen and television/DVD player in living area. Ceiling fans in living area and master bedroom, gas heater in living area. Small outdoor area with outdoor setting for enjoying the sun! Ideal for couples or the budget conscious. Sleeps four people. 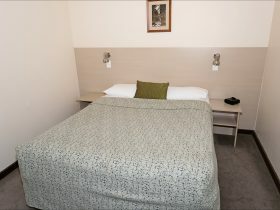 Stay in the luxury accommodation of your own spacious three bedroom Beach House when visiting Albany. The Beach House features a king bed in the master bedroom with private en suite, flat screen television and courtyard; queen bed in the second bedroom and two sets of bunks in the third bedroom. Overlooking the gorgeous Middleton Beach is the upstairs living area which includes a fully self-contained kitchen with oven, dishwasher, washing machine and dryer. The living area has two leather lounges, flat screen television/DVD player, reverse-cycle air-conditioning, an outdoor balcony with barbecues and amazing views. Ideal for sharing with family or friends. The three bedroom Beach Houses all have separate security gate access to the park. Sleeps eight people. Spoil yourselves with your own bathroom, close to the beach and the fantastic barbecue area. Your superior en suite site is the premier caravan site complete with concrete pads and lovely lawns. Suitable for vans up to 24 feet. These are deluxe single storey accommodation. Your two bedroom Spa Villa features a king bed in the main bedroom and two single beds in the second bedroom; spa in the bathroom with separate shower; fully self-contained kitchen with oven; living area with leather lounge, flat screen television/DVD player and reverse-cycle air-conditioning. Enjoy the outdoor deck area with outdoor setting. The four berth Spa Villas all have separate security gate access to the park. Sleeps four people. 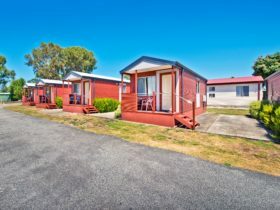 Your powered caravan site is ideally located a short walk to the pristine Middleton Beach and will have either concrete pads with lawns, or grass sites with shade cloth to park on. You can also choose from lush camp sites with or without power. Your two bedroom Spa Chalet features a queen bed in the master bedroom and either another queen bed or two sets of bunks in the second bedroom. Fully self-contained kitchen with oven, lounge with television/DVD player, spa in bathroom with shower overhead. Ceiling fans in living area and master bedroom, gas heating in living area. Relax under your patio area with outdoor setting. 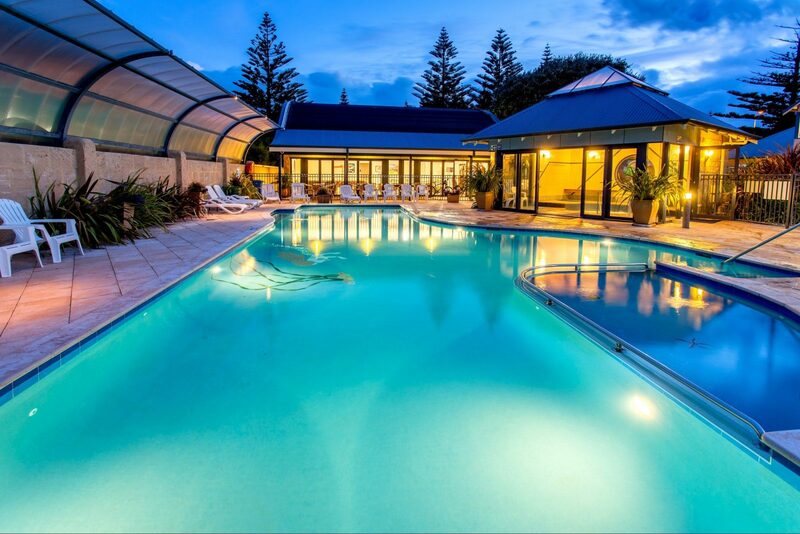 Chalet is ideal for couples, sleeps four to six people.